This week a security issue was found with the way iTunes secures iOS 10 device backups. Described as a “major security flaw” by Elcomsoft this issue allows an attacker to attempt and break the passcode on the backup 2500 times faster than before. For some reason Apple uses an alternative password verification method for iOS 10 devices which skips certain security checks and thus makes the encryption strength weaker and easier to break. The old and more secure mechanism is still in place and will be used automatically by any pre-iOS 10 device. Rather than collectively freaking out, use best practices to ensure no-one can get to your data to begin with. Encrypting your data should always be done in my opinion. Every Mac on the market today can handle FileVault encryption without impacting system speed or performance. 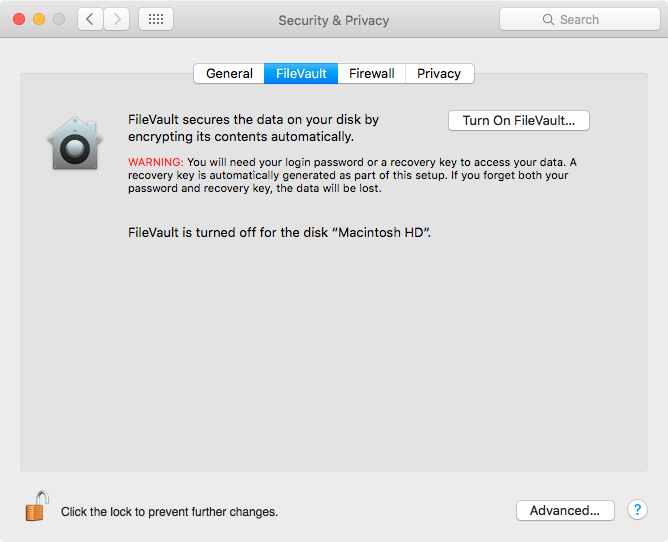 To enable it go to System Preferences > Security & Privacy > FileVault. Turn it on and follow the steps. I recommend creating a recovery key rather than giving the control to Apple but this is a personal choice. If you need to step away from your Mac, even for a minute, lock your screen. This will prevent anyone from going near your data. 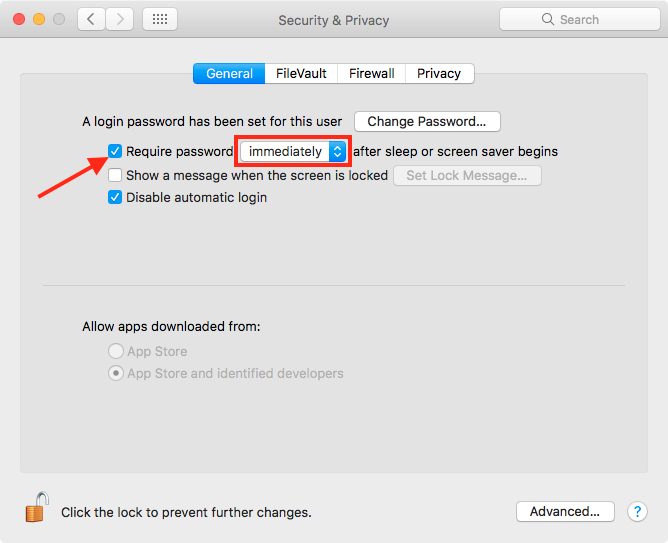 To do this, go to System Preferences > Security & Privacy > General and enable the “Require password — after sleep or screen saver begins” option. If you often have to rush away from your desk, set this to “immediately”. The options here are seconds, minutes or hours but of course shorter is better. You don’t want to give anyone a window to quickly hit any key after the screensaver begins and get right to your data. There is a counterpart to this which makes it very easy to activate the screen saver if you have to step away from your Mac. 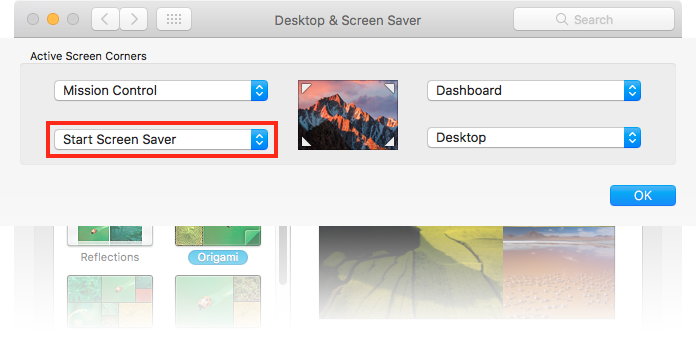 Go to System Preferences > Desktop & Screen Saver > Screen Saver and click the “Hot Corners…” button on the bottom right of the window. Set one of the corners to activate your screen saver. Now, when you have to walk away from your Mac, throw your mouse cursor into the designated corner and the screen saver will start right away. Because the screen saver requires a password to unlock immediately, no-one will be able to get in. Of course the above won’t do you much good if you password is “password”, “1234” or if it’s known by other people. Make your password unique, strong and keep it to yourself. If you’re reading this and use a weak password, this would be a good time to change it. Go to System Preferences > Users & Groups and click on your account name in the left column. A “Change Password…” button is visible on the right, use that to set a more secure password. When it comes to the password hint, don’t set one if you can. It’s one less way for someone to figure out your password. If a hint must be set, make it cryptic enough to confuse others but make sense to you. Even if you use iTunes to backup your iOS devices without a password, the above practices should ensure no-one will ever get to that backup anyway (of course your backup drive must be encrypted as well, else an attacker can just grab your backup from there). 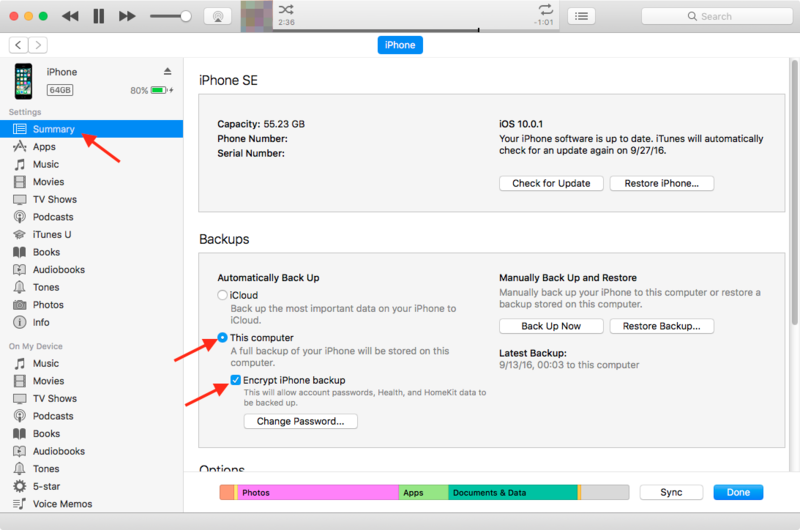 Because of the potential weak link in unencrypted backups I do recommend encrypting your iOS device backups. If you’re not doing this already, connect your device to your Mac and open iTunes. Go to your device summary and check the “Encrypt — backup” check box, then set a strong password. These are best practices with or without the mentioned “major security flaw” that will keep all of your local data safe, not just your iOS device backups. If this issue still freaks you out a little, worry not, Apple is aware of it and will issue a fix they told Forbes. While I have downgraded iOS versions in the past, just to wait until an update fixed a specific problem, I don’t think it’s the right course of action for this particular problem. As I mentioned users can use several best practices to keep their data (and backup) safe. In the case of iOS 10 I personally don’t know anyone that has gone back to iOS 9, this is probably the first iOS update I can say that about. Downgrading also opens you up to all the vulnerabilities that were patched in the new system which puts you at more risk, in my opinion. Previous Previous post: Siri, is my Mac ready for macOS Sierra?